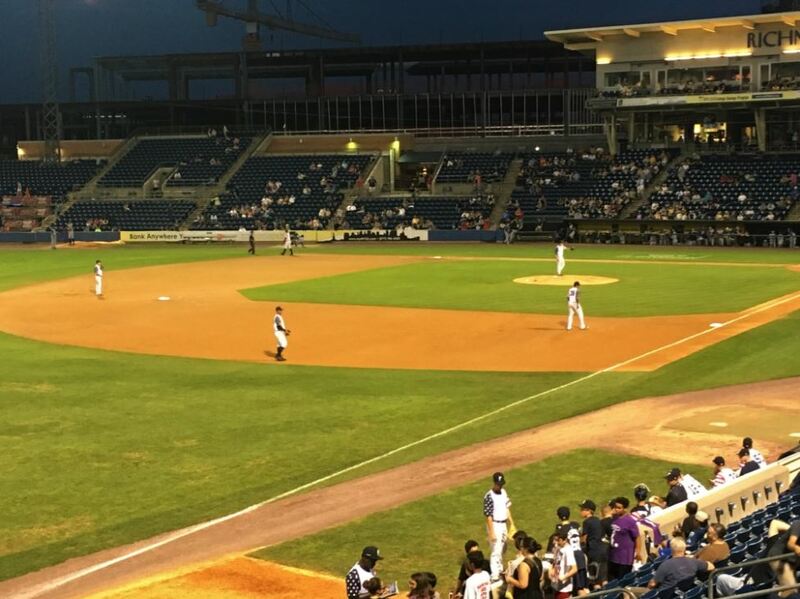 The Staten Island Yankees played a Minor League doubleheader, which meant both games would only go 7 innings. After last night’s win against rival the Brooklyn Cyclones the Baby Bombers came in with a seven-game winning strike and a 14-2 record the best in the New York-Penn League (NYPL). While the Cyclones last year’s McNamara Division winners have been struggling to start the season with a 4-13 record. Jorge Guzman would take the mound in Game one with a 3-0 record and 21 strikeouts hoping to continue the Baby Bombers undefeated streak at home. Unfortunately, an early error by Oswaldo Cabrera and a balk by Guzman would allow two runs to score in the first inning. Kendall Coleman would continue his hot hitting, as he would hit a home run in the second inning to cut the deficit to one. An Oswaldo Cabrera RBI single would tie the game in the bottom of the third. But it would not last long as the Cyclones third baseman Carl Stajduhar would hit a solo home run off Guzman to take a 3-2 lead. The Cyclones would add another run in the top of the 7th before closing it out giving the SI Yankees their first home loss 4-2. Guzman would also suffer his first loss of the season going 5 of the 7 innings striking out 5 and giving up 3 runs. The Baby Bombers would have 40 minutes to recuperate before taking the field for game number two. Christian Morris would take the mound in his first start this season. The Baby Bombers would get things started early with 4 runs in the first two innings. A wild pitch led to one run in the first inning, while Wilkerman Garcia would get a RBI single followed by a RBI double by rookie Cody Brown in the second inning. Morris would go 3 innings giving up 1 run on 2 hits before the bullpen would take over. The bullpen hit a slight bump in the road giving up 9 runs in the last 4 games but would bounce back in today’s double header only allowing one run in each game. After adding three more runs the Baby Bombers would take game two against the Cyclones 7-2 bumping their record to 15-3. “He (Morris) showed me some good stuff out there, he had good poise I liked that he works fast. I think he did a really good job for us tonight,” said Mosquera. “The guys came out ready to play, they just went out there ready to compete. You have to have a short memory with games like that can’t dwell on it too much have to get back out there,” he added. The Baby Bombers head back to MCU Park in Brooklyn to finish off this four-game series against the Cyclones. They get Monday off before another doubleheader back home on Tuesday Night against the Vermont Lake Monsters.